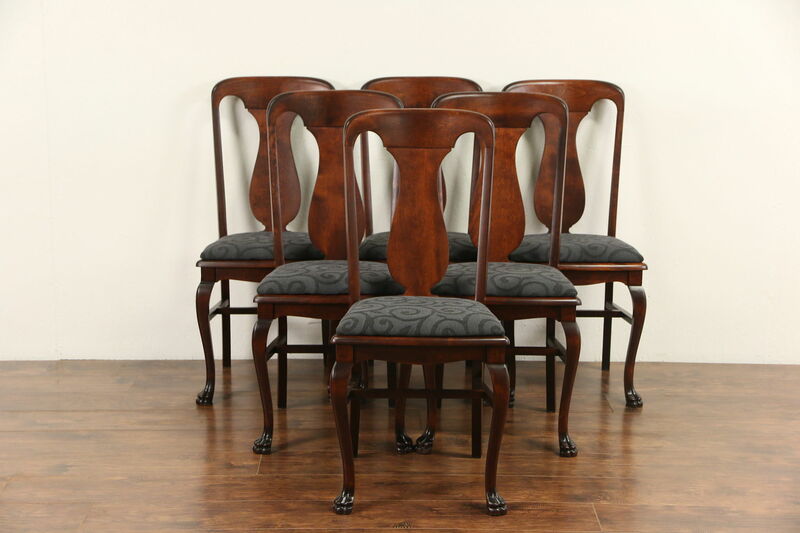 A set of six Empire design dining chairs from about 1900 have have graceful curves and carved lion paw feet. Solid birch hardwood frames are expertly reglued and refinished to serve another generation. Seats are newly upholstered on this American made antique furniture. Chairs measure 18" wide, 21" deep, 39" tall and seats are 20" tall and 16" deep.